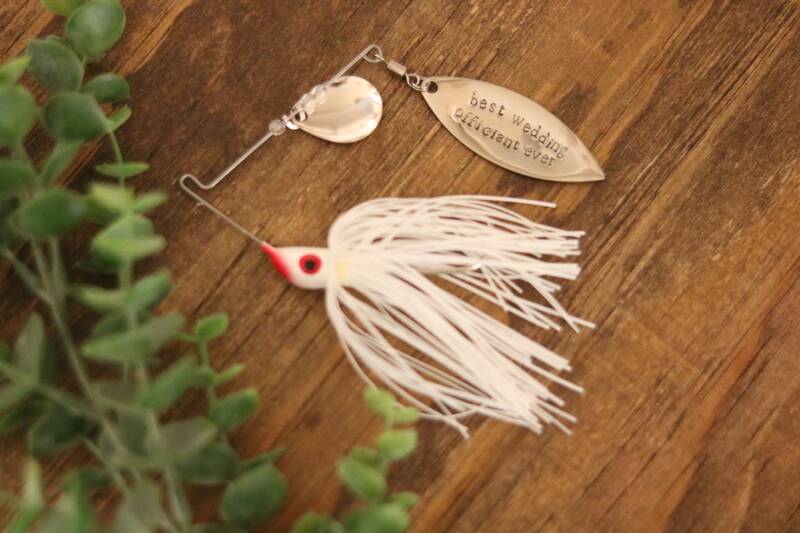 This fun little fishing lure is the perfect gift for the avid fisherman in your life! 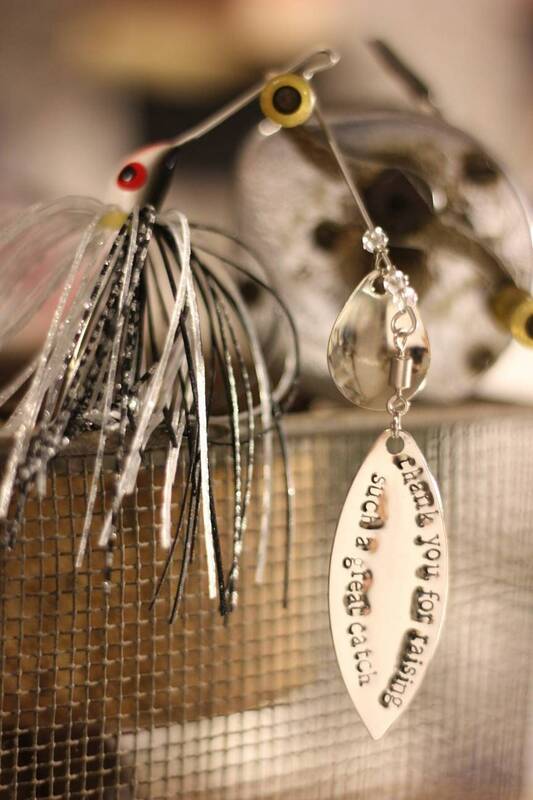 Customize this to fit any occasion. 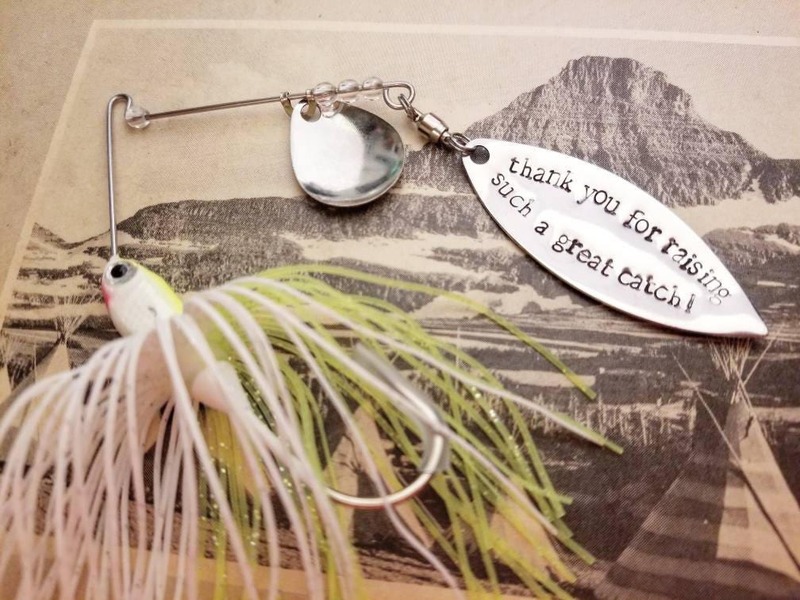 This item looks fantastic in a shadow box! 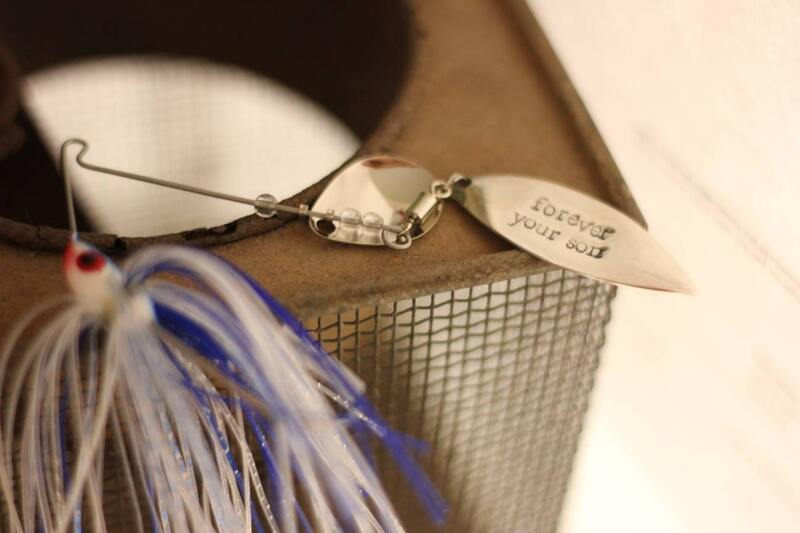 This item is perfect for groomsmen gifts, father's day, and birthdays! 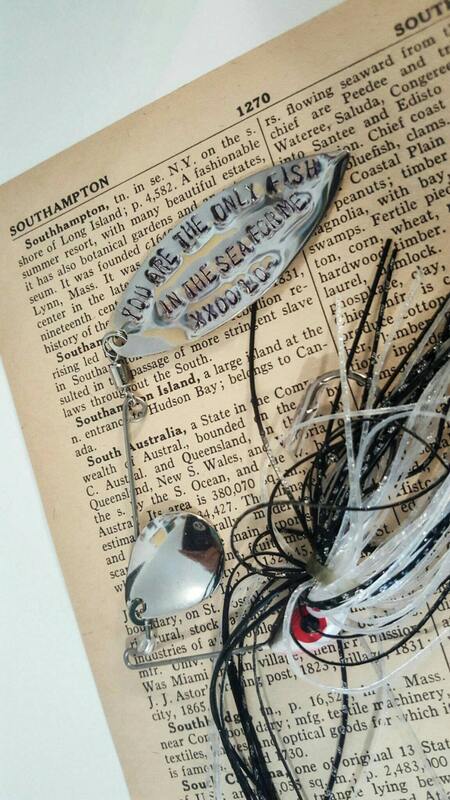 Item is made to be fished with or keep it as a keepsake! Other color options available upon request! Please read all of the shop's guidelines before placing your order. YOU MUST PUT YOUR TEXT IN THE NOTES TO SELLER BOX AT CHECKOUT. I get too many messages to keep up with changes and it is not guaranteed your text will be complete. You will receive an email with your tracking number when your item is shipped. 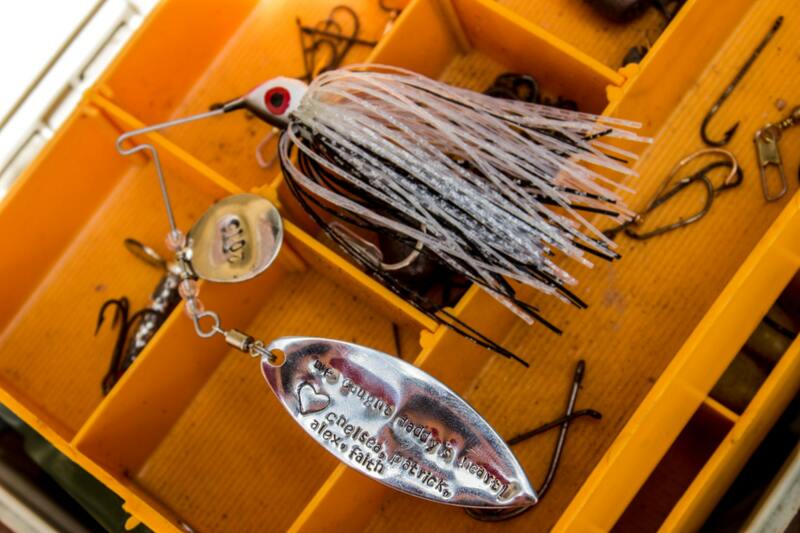 At checkout, PLEASE list what you would like stamped on your lure in the "notes to seller" box. 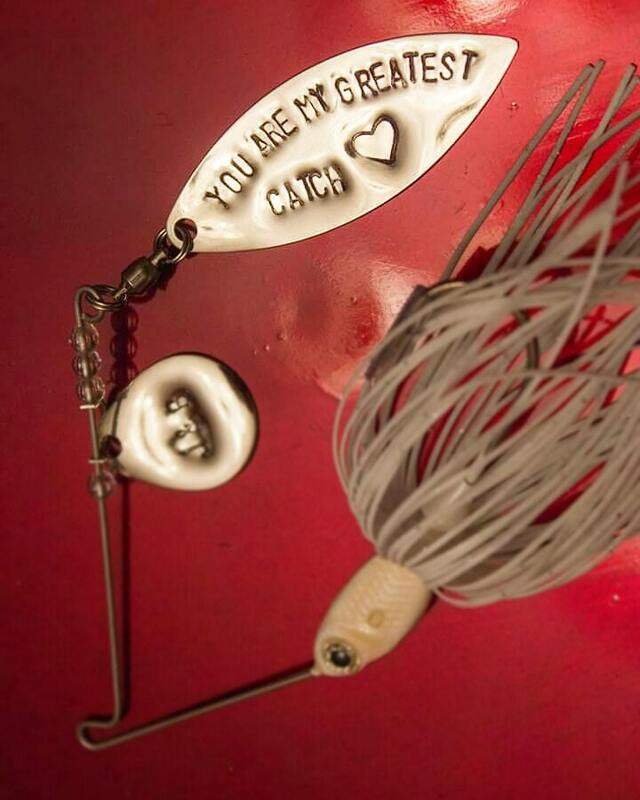 -"you're the only fish in the sea for me"
Very well done engraving on the fishing lure. Seller was fast to get it shipped to me. Amazing! 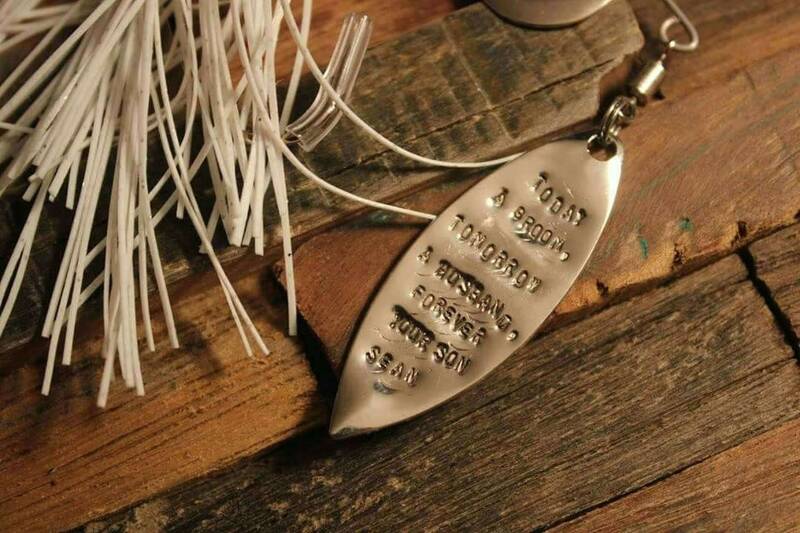 I purchased this for my husband for his first Father’s Day; it was so meaningful to him he actually teared up. This will be something he treasures forever. Thank you!! !